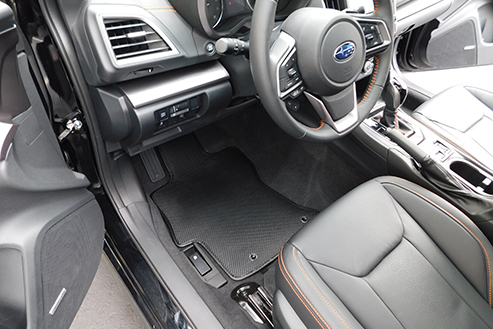 A contemporary looking all season car mat that will stand up to the worst of weather, including snow, ice, slush, mud and dirt. Our Woven Vinyl Mats are 100% waterproof and comes with our signature nibbed rubber bottom. Currently available in Five (5) complementary colors, this material is both fashionable and durable. It has a design with a structured look and feel and a characteristic geometric quality that suits progressive interiors.